A beautiful smile with straight, white teeth can rejuvenate your appearance as well as boost your confidence. Your smile is often the first thing a person notices about you, and making a great first impression is always beneficial. Our doctors combine art and science to create smiles that look naturally stunning while also achieving optimum health and function. Dr. Meserkhani is a top prosthodontist, a specialist in the aesthetic restoration and replacement of teeth. While cosmetic dentistry is not an officially recognized specialty in the dental world, prosthodontists are often considered cosmetic specialist due to their extensive training in the aesthetic aspect of restoring smiles. 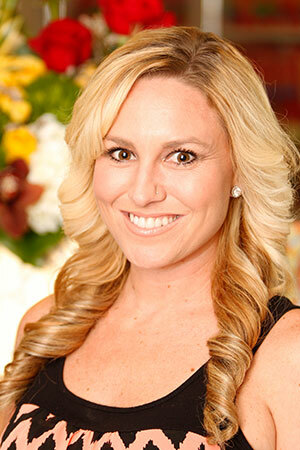 Dr. Meserkhani is a skilled, experienced cosmetic dentist. Dr. Meserkhani is highly skilled and experienced in smile makeovers that enhance patients’ features and rejuvenate the entire face. He has been featured on Fox news as a leader in cosmetic dentistry, and has had numerous articles published in peer-reviewed dental publications. He has put together a team of experienced cosmetic dentists who can provide you with any type of cosmetic treatment you could need all under one roof. Our team uses both Invisalign® clear teeth straightening and traditional braces in providing our patients with beautiful, straight smiles that help boost their confidence. As a team, our doctors are well equipped to handle an unusually wide range of services. We have an in-house lab that is under Dr. Meserkhani’s direct supervision and our highly experienced lab technicians will work closely with you and our doctors to fabricate restorations that meet—and often exceed—your expectations. A new look in just one or two visits! You can have a brighter, whiter smile in under an hour with in-house Zoom whitening. Making over your smile isn’t necessarily a complicated process involving multiple procedures. Sometimes all it takes it brightening your smile in under an hour with Zoom in-house teeth whitening. Dr. Meserkhani has also revitalized smiles in a few simple visits with porcelain veneers. Veneers can correct many minor flaws, such as discolored teeth, misshapen teeth and gaps between teeth. Our doctors understand that each case, each person, is unique and customize treatment plans to fit your individual needs, desires and budget. We explain the pros and cons of the different options available to fix your smile, advising on the options we consider the best for you. Because our doctors have such a wealth of experience and training, they are able to offer solutions to even the most difficult-seeming case. Dr. Meserkhani balances aesthetics with health and function. Although smile makeovers may focus on the aesthetics of your smile, our doctors consider it equally important to ensure that your mouth is healthy and functional. With this in mind, we evaluate your bite, and thoroughly examine your teeth and gums, addressing any functional issues that may need to be corrected as part of your overall treatment plan. 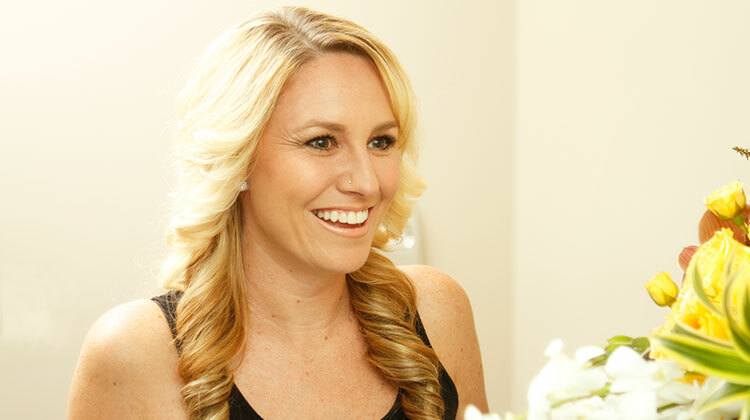 This approach ensures a healthy, beautiful smile that can last you for the rest of your life. 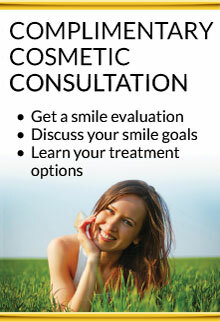 Our smile makeover tool kit includes the following. “I was very unhappy with my front teeth after a traumatic accident and with several doctors’ attempts to fix them. Dr. Meserkhani took his time with my treatment needs, which made me feel very special as I knew the work he was doing to save my teeth was not easy. “Dr. Meserkhani was able to make my smile look very natural and more beautiful than before the accident. We offer professional-strength whitening that will get deep into the tooth and quickly whiten your teeth by several shades. For more permanent whitening, we recommend porcelain veneers or dental bonding. Invisalign clear aligners or traditional braces will close the gap. For a fast fix, we use porcelain veneers or crowns. We use soft-tissue lasers to gently remove excess gum tissue and straighten out a gum line. These can be smoothed over with dental bonding or for more permanency, with porcelain veneers. Dental implants are the best option for a natural look and feel, and a lifetime of service. Old silver amalgam fillings can be replaced with tooth-colored fillings or durable onlays or inlays. Veneers or crowns can fix irregular teeth shapes. Our gentle lasers will remove excess tissue to expose more of your crown. We can straighten your gum line with our soft tissue laser. The dramatic changes Dr. Meserkhani can make in your smile through an extreme smile makeover will give you a more youthful, healthy look without having that “I got my teeth done” appearance. He can make your teeth rounder, smaller or narrower to best fit your facial features. And he can even reconstruct your smile, including replacing missing teeth. Learn more about extreme smile makeovers. Veneers were placed on this patient’s anterior teeth. Crowns were used on this patient’s front teeth. Veneers were used to perfect this smile. Here, our patient had multiple composite fillings in the front teeth which she was not happy with. Ceramic veneers were chosen as the treatment option and she was very pleased with the results. This patient’s teeth were reshaped using veneers. The space between this patient’s teeth was repaired using dental bonding. Veneers covered this patient’s discolored teeth. Zoom Teeth Whitening gave this patient a bright new smile. This patient had tooth wear because of age and a grinding habit (bruxism). Ceramic veneer and ceramic crown could provide aesthetic function and longevity to existing teeth. This patient had worn dentition that was treated with ceramic crowns and veneers. Our patient here had damaged and discolored teeth which could improve with veneers. This young lady received ceramic veneers to take care of her anterior, defective teeth, to have healthy looking teeth and restore her smile. And she is smiling in the after photo as you can see. Recession treated with connective tissue graft. Gum recession treated with gum grafting. Take advantage of our Complimentary Cosmetic Consultation offer to find out how cosmetic dentistry can benefit you.